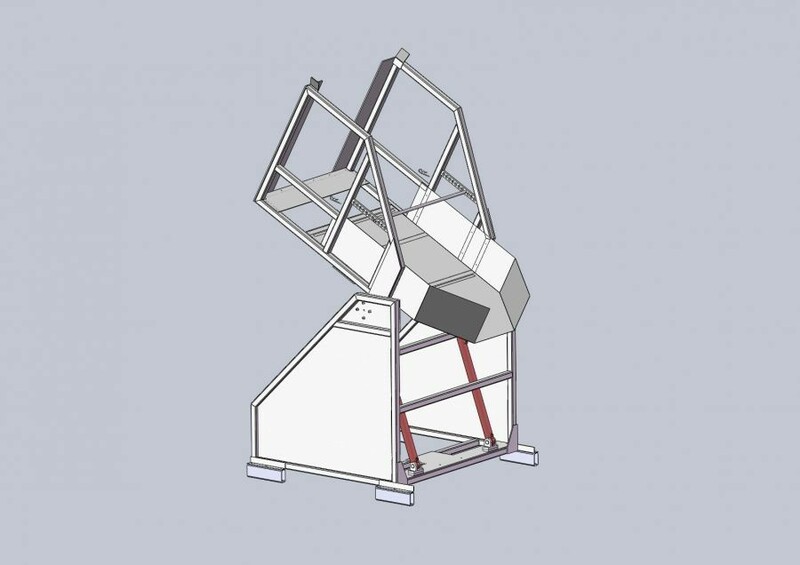 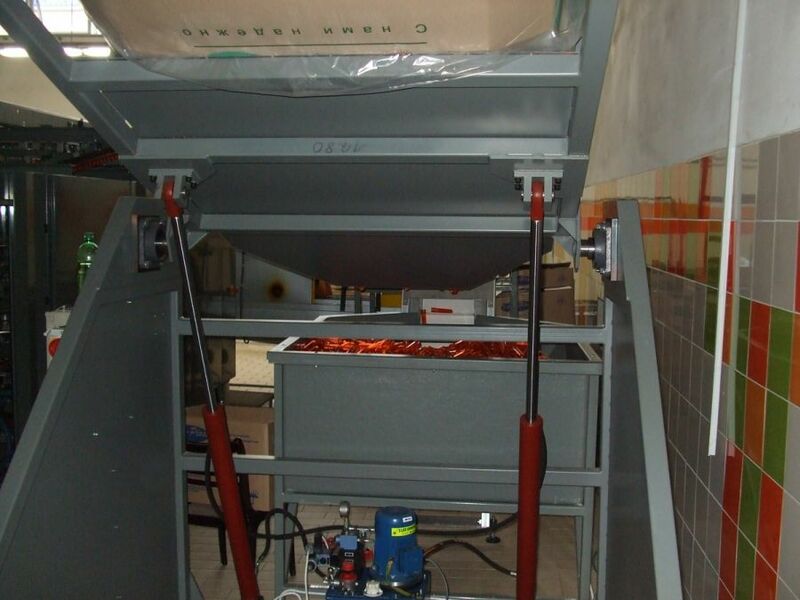 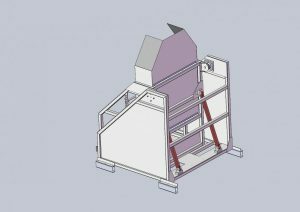 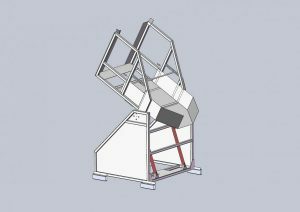 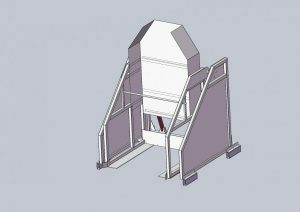 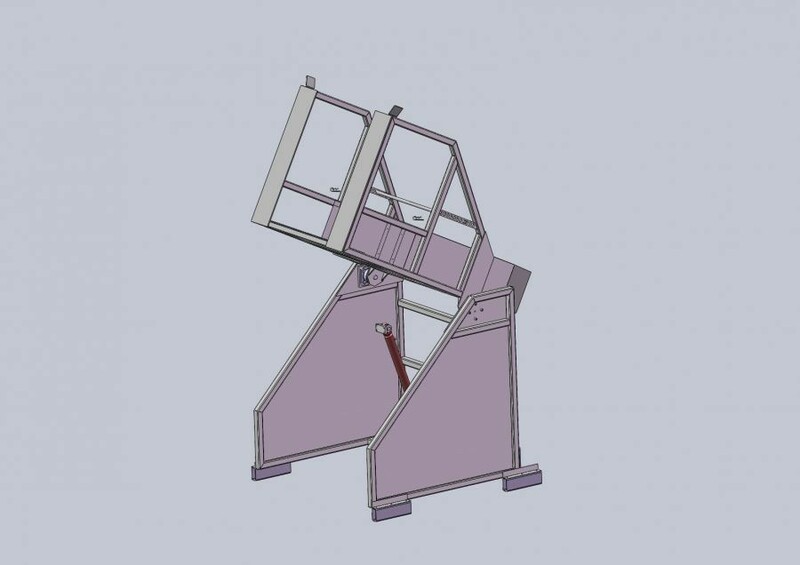 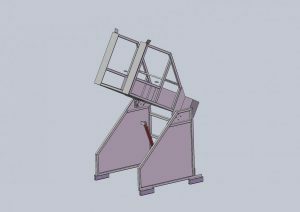 Elevators for cardboards or baskets with preforms are commonly chosen by our customers as an optional equipment. 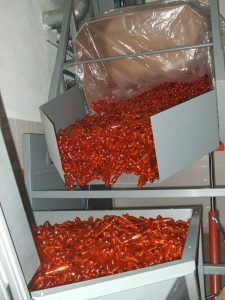 That hydraulic device facilitates and speeds up the process of supplying preforms to the hopper of blow molding machines manufactured by TES. 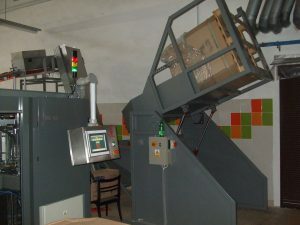 An operator puts cardboard or basket with preforms into the elevator using a forklift. After turning the elevator on, the cardboard or basket is lifted and turned, which results in its emptying and supplying the preform to the hopper of the blow molding machine.